UBA Money Transfer Code is the focus of this of this blog post. I will be showing you how to use UBA Mobile Transfer Code to make transactions at your comfort zone. Now, you can enjoy UBA mobile banking from anywhere in the world. This will help to boost your business and make things easier. UBA money transfer codes are dedicated USSD codes by United Bank of Africa to help improve their customer service. Using UBA Money Transfer Code can help you transfer money to UBA accounts and non UBA account holders. UBA is one of the widely used bank by Nigerian, Known for their trust and quality service delivery. They have been in existence for long. Many UBA customers testify of their efficient and fast service delivery. Let’s get to the main business UBA Mobile Transfer Code, full guides to use UBA codes for transaction. I have also written an post on Diamond Transfer Code for Easy Banking. · You can use it in any phone. · It is fast and reliable means of transaction. · You can make transactions without internet. 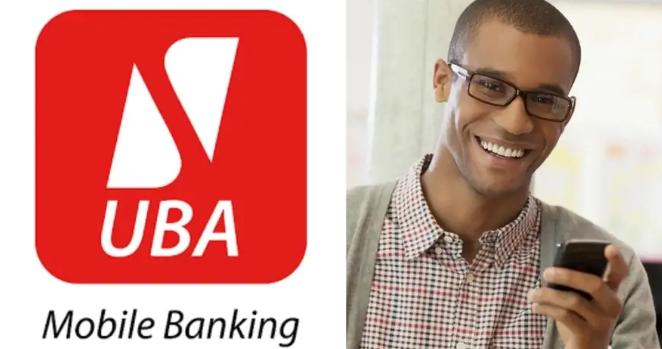 · UBA allows transaction limit of N1,000,000 per day, unlike other blogs. · Allows sending money to any Nigerian Bank. For one to be qualified to use UBA Money Transfer Code. All you need is a registered SIM card with an active ATM card. If you have the mentioned above then let’s proceed to UBA Mobile Transfer Code registration. ALSO READ: Newspay Earning Bundle: Make N5, 000 to N150, 000 Weekly With Newspay Income Program. · Firstly, dial *919# (menu option to all UBA mobile transaction code). After dialing a menu pops up showing various options. · Then select option 5, Send money. There are other various options like Open account, pay bills (Nepa bills), Pin setup if you haven’t created your transaction pin, and lastly check account balance option. · Now choose payment method – you can select UBA account or UBA prepaid card. · This step will show if you have registered or not. If you have not registered select 1 to sign up and follow the command to complete it. Your transaction will be successful once you follow the steps above. 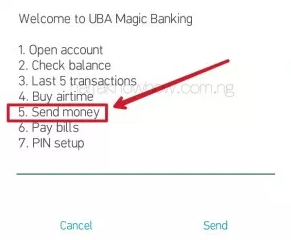 Is the first method on how to use UBA Money Transfer Code, long? Yea it is. Below is a summary of everything for already existing customers. · To transfer money from your UBA account to another UBA account holder. Simply dial *919*3# from the phone number you used to register your UBA account. Follow the proceeding steps to complete your transaction by entering your 4-digits transaction pin and amount to be transferred. · For you to send money to UBA prepaid Card. Simply dial *919*32#. · Now, transactions with other Nigerian banks like GTBank, First bank etc. for you to send money to account holders in other Nigeria banks. Simply dial *919*4# or direct payment by dialing *919*4*account number*amount#. Below are summary of all UBA Mobile banking code, right from checking account balance, airtime top up, bill payments and even UBA Money Transfer Code to banks and UBA accounts. For you to enjoy more with United Bank of Nigeria, why not start using their mobile bank app. This app allows you enjoy many features, more than using the USSD code. Very soon, I will be writing on a guide to use UBA mobile banking App. This constituent a complete guide and all you need to know. transfer. Go ahead and enjoy banking with them. Note that these codes work in any phone and without internet provided you are using the right SIM card. Transfer Charges are applicable, this means that you are charged for using the transfer options. Although the data charge rate is not high. If you have any question concerning UBA Money Transfer Code or you encountered any problem during transfer (using any USSD code). Get in touch with the admin using the comment box below. We will help you out.